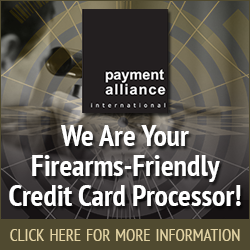 If you run a small business, especially a small business that operates in the firearms industry, it’s essential you have a reliable small business insurance policy in place. Small business insurance, which is sometimes called commercial insurance, can cover all your business assets, including your physical business location and everything inside of it. It can also cover you in case your business is ever sued. Check out an overview of small business insurance below. What does a small business insurance policy cover? A small business insurance policy will cover any financial loss that your business experiences. It will also cover losses experienced because of what are called covered perils, including things like theft, fire, lightning, and more. What are the different kinds of small business insurance? There are three main types of small business insurance. The first is called general liability coverage, and it’ll cover you in the event that someone is injured while inside your business. If they rack up medical costs and call on you to cover them, your small business insurance company will step in and take care of them for you. The second is called business property coverage, and as its name would suggest, it’ll cover you if your business or anything in it ever sustains damage or is stolen. The third is called business interruption coverage, and it’ll cover you if damage done to your physical location ever makes it impossible for you to operate your business. Your insurance company will either pay for you to rent a new space temporarily or cover your lost business income. How much do you need to pay to obtain small business insurance? There are a whole host of factors that help determine the cost of small business insurance. Everything from the size and location of your business to the products and services you offer will be considered before you’re offered a small business insurance quote. 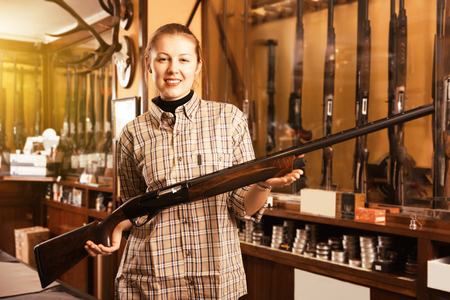 Would you like to track down the best small business insurance plan for your gun shop, gun range, gun manufacturing facility, or other firearm-related business? Call Associated Services in Insurance at 816-229-4450 to hear about some of your options.